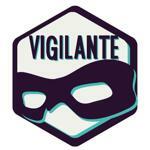 Today's Crowdfunding Focus gives the stage to a local Austin business: Vigilante Bar on Kickstarter. Owner Preston Swincher took a moment to answer some questions about his new business continuing on the trend of combining boardgames, food, and drink. Hi Preston, congrats on nearly funding already! Tell me a bit more about the Vigilante Bar. What makes it different from other board game and tabletop establishments? Thanks! We're really excited to be this close, and are still chasing some ambitious stretch goals. We're very different in that we A) are not a retailer and B) are a full service restaurant. We are 100% focused on making the perfect social gaming experience. We're akin to the Alamo Drafthouse/Dave & Busters of board games. Our custom engineered tables have cup holders, food trays, meeple drawers and card holders. Each seat has an "Accio Service" button: focus on your game and we won't bother you until you have an order. Each table has a Vigilante signal that shines on the ceiling to indicate that you're open to people joining your game. Our menu is designed to be easily eaten while playing. No detail has gone unexamined. What made you want to open a board game bar? My gaming group typically wraps up game night and then goes out (but wished we could keep playing). We want a bar atmosphere devoted to both bar culture and gaming culture (and take the work out of game night)! This has been a dream of mine for over six years: to go out and game at the same time. As we've gotten older it's been tough to get the gang together. Now there's a real desire for a place where we can meet other gamers. Plus, there are so many fun events and games we can play at a social setting devoted to games; the ideas are endless and fun! How many games are you hoping to have in your library, give or take? We're looking at over 100 titles at launch, but are dedicated to growing that library. Every month our Secret Society members will vote on the new titles we add to our collection. More importantly: we're reboxing and organizing our games to simplify setup and takedown. We'll also have digital game menus and a game-savvy service staff to help fit you with the right title for your evening. Do you have a favorite game? If you had to pair a drink with it, what would it be? Battlestar Galactica. I love the long con. We're a beer and wine bar, so I would have to go with Thirsty Planet's Thirsty Goat. It's tasty, smooth, and I can drink it all night. Drinkability is crucial when settling into a lengthy game. As for pairing food & games: a bottle conditioned beer (live yeast within) with Pandemic? Or if I swap a Thirsty Goat for a Live Oak Hefeweizen, could we call that trading sheep for wheat? We're fans of a new brewery in Austin called Friends and Allies, which seems like a natural pairing for cooperative games like Sentinels of the Multiverse! Can you talk a bit about the stretch goals? You have some quite unique sounding bonuses if you pass your initial goal. Our stretch goals are all about enhancing that bar/board game hybridization. Early stretch goals include custom table electronics: our Accio Service and Looking for Group signal. Our patrons want to hang out for time spans that are atypically long for a restaurant. Accio Server relieves our service team from constantly monitoring tables and enables our patrons to mitigate distractions. Looking for Group is part of how we will encourage people to meet other gamers. These technologies all integrate to give us some powerful tools to provide better service. Our later stretch goals make us us audacious and awesome. We want to upgrade our private rooms so that they are behind secret doors. Furthermore, we want each room to be themed so that it feels like you're entering another world. Current proposed themes: The War Room (ie. Dr. Strangelove) and a Wizard's Study (eg. Dumbledore's office). Finally, we want to construct a mezzanine, adding 30 or so lounge seats above the bar. The ability to serve more patrons at capacity is invaluable to any restaurant, and the mezzanine would add a vertical dynamic to our interior design that will punch up our "wow" factor. It will feel like a private lounge with a killer view of the action going on in the game room. We'll be unveiling more as we get further into March, but we're really excited at how unique of an experience these spots could be. Awesome, is there anything else you want to mention? We're really grateful to the Austin nerd scene for rallying to us: we've received over 700 unique survey responses, hundreds of comments, dozens of messages, and tons of input and advice. We've leaned heavily on the community for input in designing our menu, atmosphere, bar features, table design, and even beer selection. We're gamers building a bar for gamers, and their input has been crucial in making this a community space. Please get involved: Like our page, share our Kickstarter, and back us if you dig what you see!